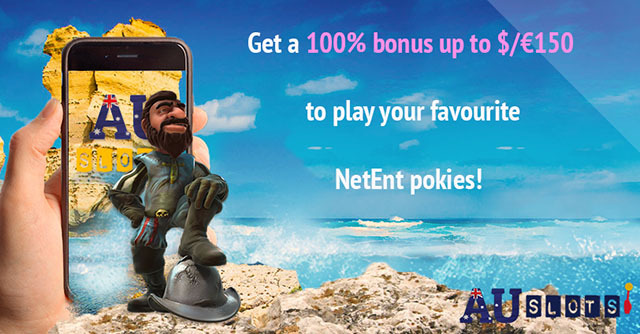 All Australian players – Get your AU Slots Pokies Welcome bonus and play NetEnt games today! 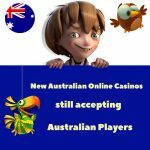 Due to the restrictions placed on the Australian market, it has become increasingly difficult to find online NetEnt casinos that still accept our players residing in Australia. 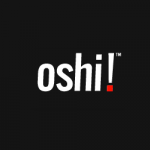 So far, we’ve come across House of Jack and Casino-Mate, both terrific casino brands and sister casinos to Guts Casino. We’ve got great news to share with you, as we’ve found another one. Meet AU Slots Casino! If you are one of our new Australian players that haven’t yet discovered AU Slots, then today’s your lucky day. You can get your AU Slots Pokies Welcome bonus AND play NetEnt games. Get a 100% bonus up to $/€150 when you make a deposit of $/€20 at AU Slots. Use your casino welcome bonus to play the best online pokies available in the CASINO section. AU Slots has a huge selection of pokies for players to choose from – over 800 titles to play! Play your favourite NetEnt pokies such as: Butterfly Staxx, Gonzo’s Quest, Starburst, Copy Cats, Scruffy Duck, Aloha! Cluster Pays, Blood Suckers, Dead or Alive, Jack and the Beanstalk, and many more. If you enjoy BetSoft releases, then you’ll definitely love The Slotfather II, Fire & Steel, and Good Girl Bad Girl. Make a deposit of $/€20 to qualify for this option. The wagering requirement for the AU Slots Pokies Welcome bonus is 30 times. Players from these countries are restricted from opening an account at AU Slots: Afghanistan, Albania, Algeria, Angola, Cambodia, Ecuador, Guyana, Hong Kong, Indonesia, Iran, Iraq, Israel, Kuwait, Lao, Myanmar, Namibia, Nicaragua, North Korea, Pakistan, Panama, Papua New Guinea, Philippines, South Korea, Sudan, Singapore, Syria, Spain, Taiwan, Uganda, United States of America, the United Kingdom, Yemen, and Zimbabwe. Players must have a balance of less than €/$1 to get the Cashback Bonus. FreakyVegas August Bonus Promotion – Get your Starburst and Aloha Free Spins this month! 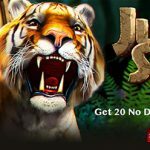 Get 20 Jungle Spirit No Deposit Free Spins + 100% bonus and 100 Free Spins at Argo Casino – Sign up today! Posted in AU Slots and tagged AU Slots, august offers, august promotions. ← FreakyVegas August Bonus Promotion – Get your Starburst and Aloha Free Spins this month!